Almost all B2C and 96% of B2B brands rely on internal resources to execute their content marketing program. These in-house providers range from small or centralized teams serving the entire organization to individuals leading department efforts. No matter the configuration, a well-trained in-house content marketing team is a competitive advantage. But what makes a team exceptional? It is all in how you grow it. Here are five tools and a few tips to help in those efforts. Training is a critical part of having a well-performing content marketing team. But I am not talking about how to interpret analytics on social platforms or even how to write in general. Training should be done on what qualifies as really good content and what is mediocre. My favorite tool for this at the moment is Zest.is. It is a content moderation platform that uses a community-based system (called a “tribe”) to weed the content that isn’t going to get the level of attention you want. By using this tool, your team will learn how to recognize content that is more likely to get shared, liked, and enjoyed. They can apply this knowledge to generate more content ideas that get more reach. Everyone knows a good content marketing team shares content with its audience; it also shares content among the members. Are you providing critical knowledge to your team and do your people know where to find it? 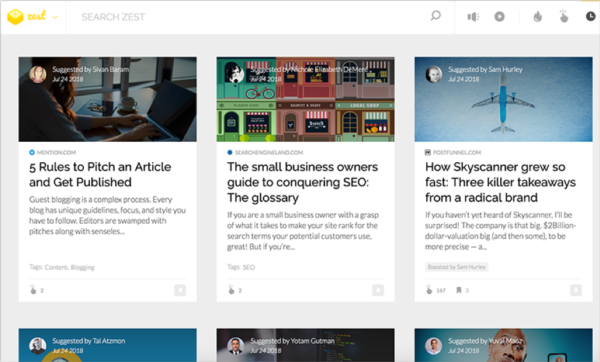 Smarp is a knowledge-sharing and content-curation app. It includes employee-driven content curation and development, a news feed that makes it easy to see what is being shared within your company, and a custom company directory of content. 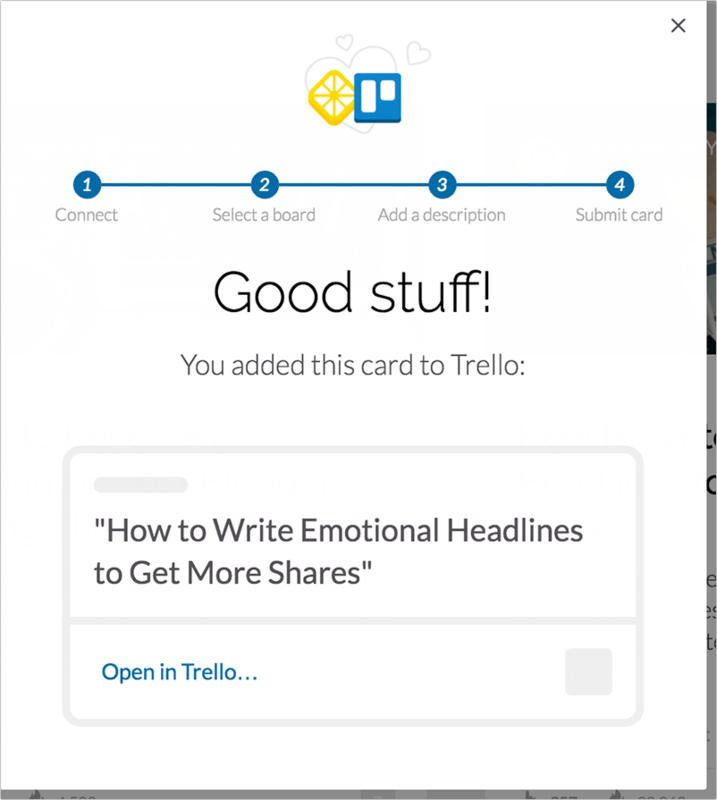 Whenever you want your team to read and/or share a resource, add it to your company’s dashboard. 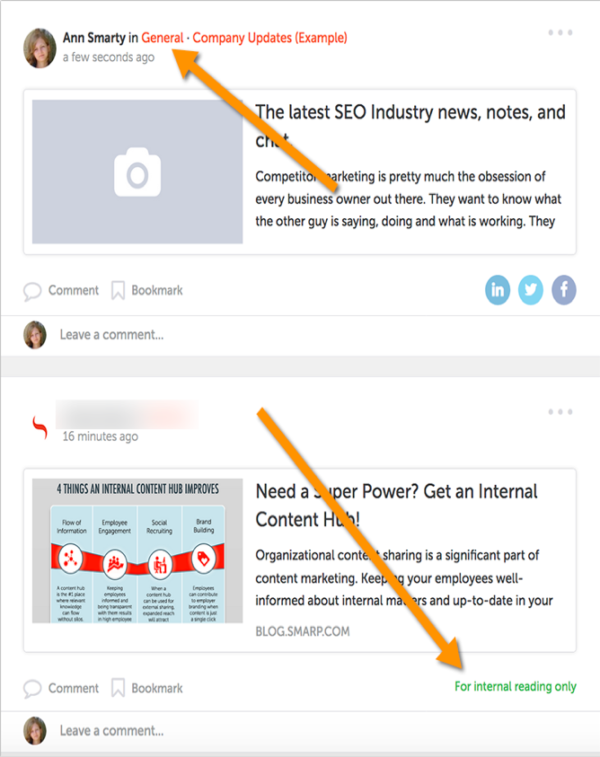 You can mark any resource as private (for internal reading only), organize your curated content into channels, and encourage your managers and team members to add content to the dashboard too. This is one of the most intuitive apps I have found for team communication and curation. Content marketing is integrated into lots of marketing areas, including search engine optimization and social media marketing. Your content team needs to be aware of what keyword research is, how to put together optimized content and target search queries, and how to create content that gets shared on social media. Give your in-house writers access to your SEO tools so they can learn in action too. As one who learned SEO by playing with tools for a few years, I am a big advocate of learning SEO by doing versus just reading. Build a separate content marketing dashboard using Google Analytics to allow your team to quickly see how articles perform and learn from their success and failures. Here’s a nice collection of Google Analytics dashboards, including a blogging dashboard and conversion tracking dashboard. Offers a “question research” feature showing the most popular questions based on your keyword. It’s one of the most effective ways to brainstorm content ideas. Labels queries triggering special search elements, including featured snippets, image and video results, etc. It’s a great way to brainstorm non-traditional content types for inclusion in blended result rankings. Includes a handy clustering/grouping feature that allows you to find closely related topics, as well as help brainstorm content series and structure each individual content asset. 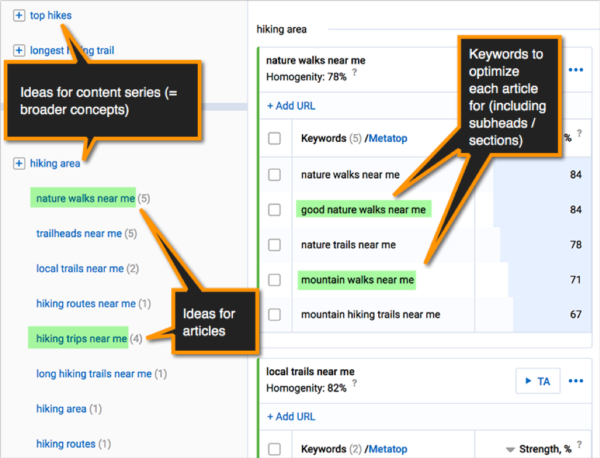 Here’s a handy guide on how to use Serpstat’s clustering feature for grouping keywords by intent. Collaboration is important with content marketing teams. But a certain amount of access and incorporation into the content process should be done for all the departments in your organization. Why? Because a strong team works together and marketing is a collaborative effort. There are many tools for this, but CoSchedule is the perfect app for this purpose. 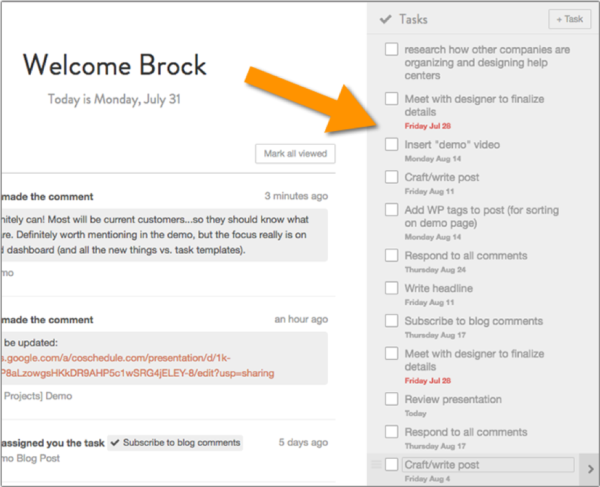 Not only does it allow you to plan your editorial calendar and schedule social media, it is also an easy way to keep your team on the same page. Now that you know a few tools you can use to strengthen your content marketing team, here are a couple actionable tips you need to have if your team is to fully benefit from their learning opportunities. If you don’t know what you are doing, your team won’t know what it is supposed to do. A documented content marketing strategy keeps you all on board with the same vision. It’s an important first step (even before you have a team). Your brand must have a unified voice, tone, and consistent formatting. To ensure that your content lifts that voice in a consistent manner, craft a brand style guide and share it with the content marketing team and anyone who communicates on behalf of your brand. Your team members are your greatest asset. You hired them because they are bright, bold, and creative. Ask your team to come forward with their ideas. Have occasional meetings for brainstorming. Ask for input on current tactics. Do you have a tip for the list? Let me know in the comments. Help your team members expand their knowledge by attending Content Marketing World Sept. 4-7 in Cleveland, Ohio. Register today using code BLOG100 to save $100.